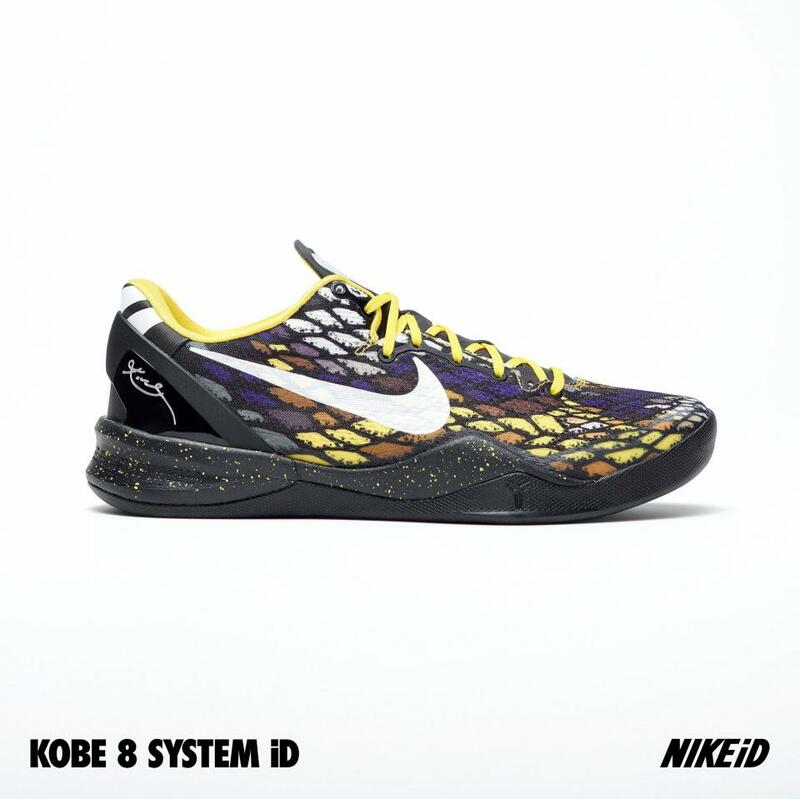 While countless fans continue to mock up designs as part of today's launch of the KOBE 8 SYSTEM iD, NIKEiD is making things a bit easier with physical samples showcasing the variety of option available. 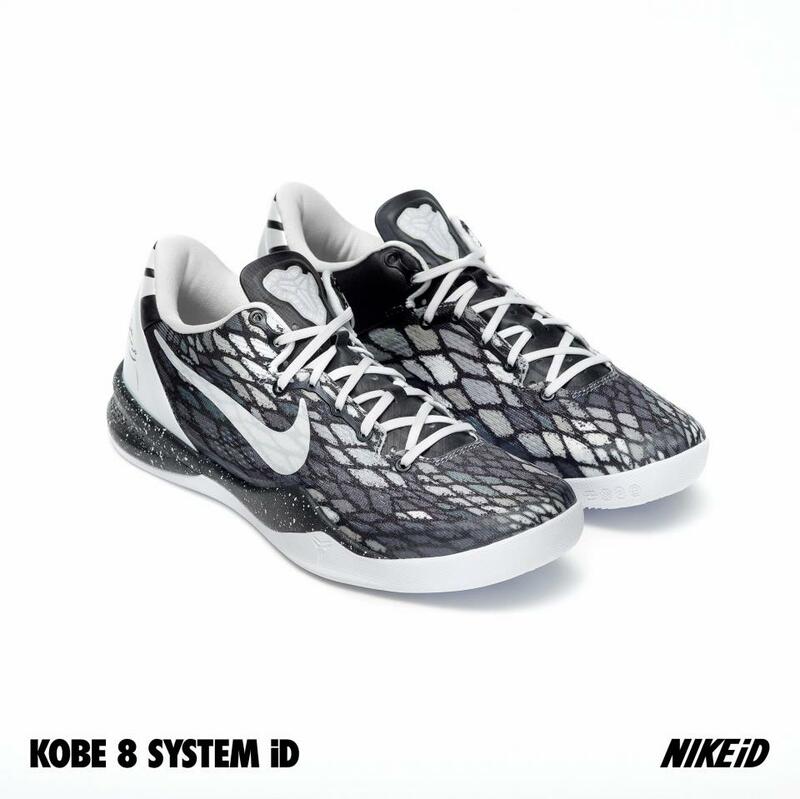 While countless fans continue to mock up designs as part of today's launch of the KOBE 8 SYSTEM iD, NIKEiD is making things a bit easier with physical samples showcasing the variety of options available. 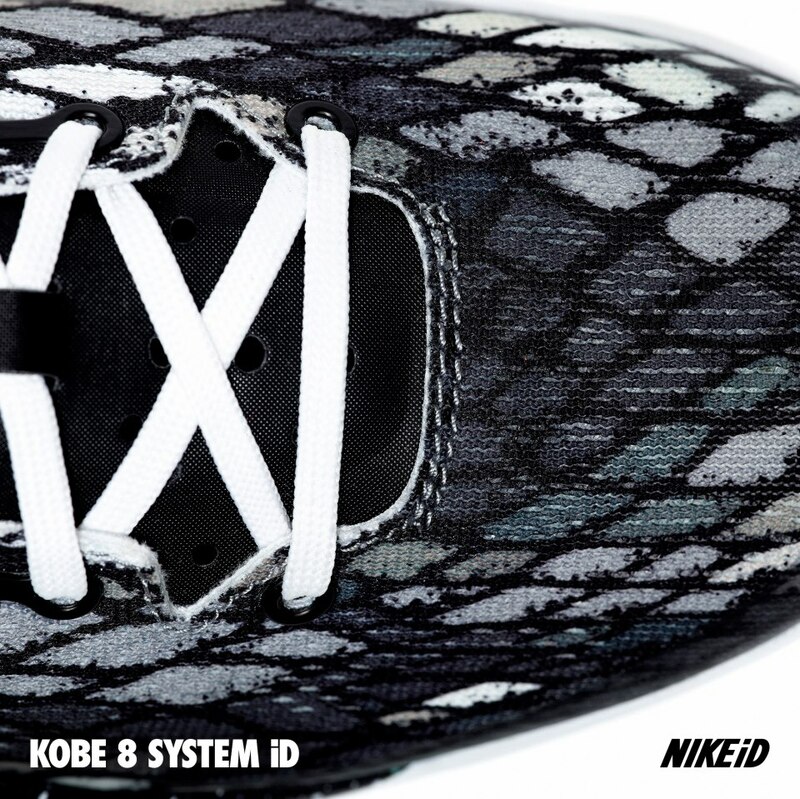 NIKEiD kept the KOBE 8 canvas simple with just one pattern to work with, while offering an extended variety of color combinations to build your design. 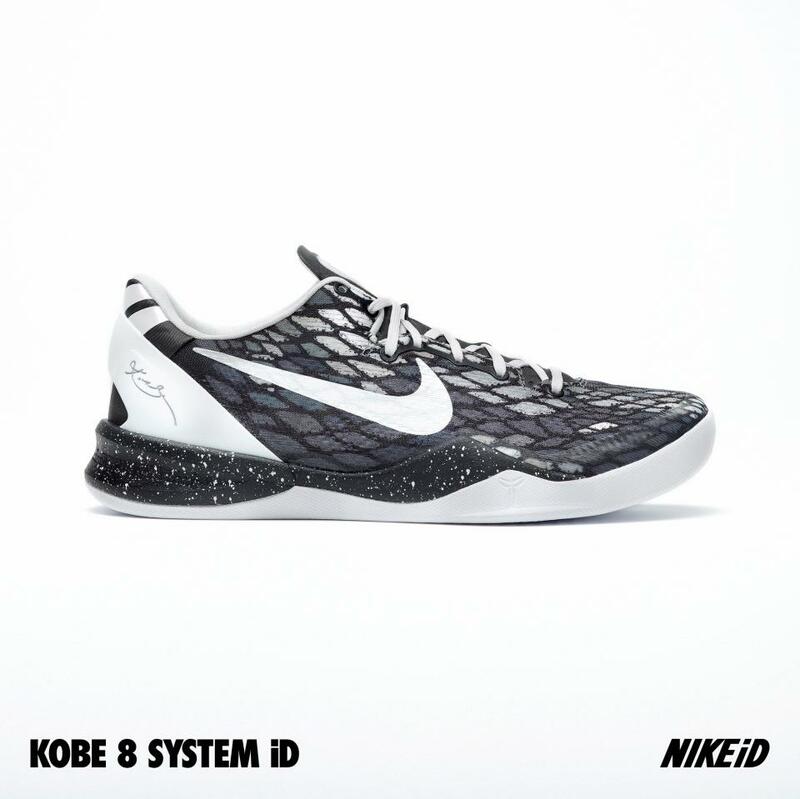 A selection of both black and grey subtle tones are available for use, along with a variety of vibrant tones and Lakers team colors. 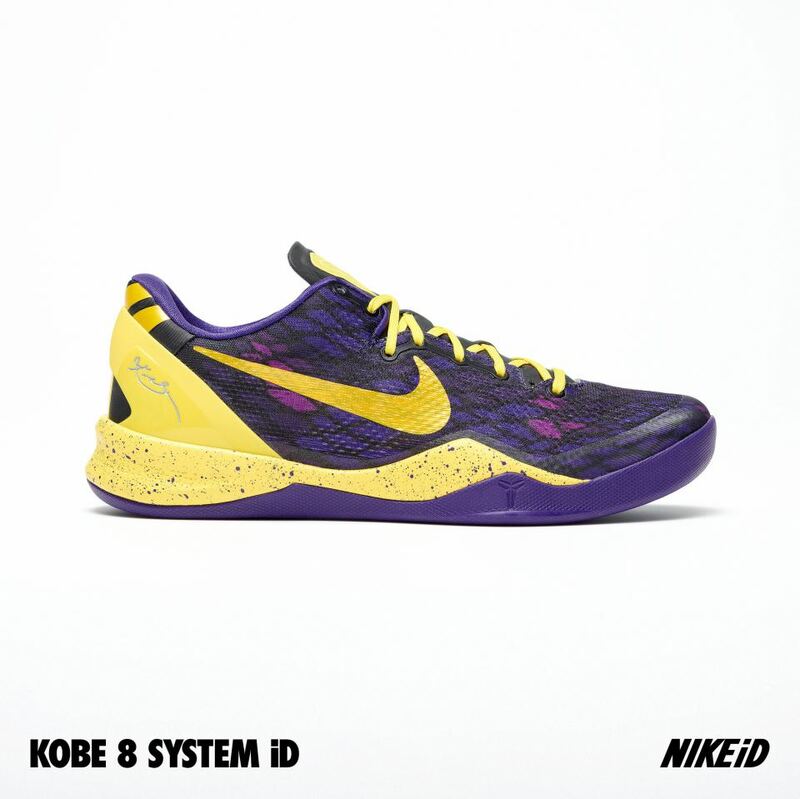 Speckled midsoles and translucent outsoles are also up for use, helping add a bit of flare to your own personal designs. 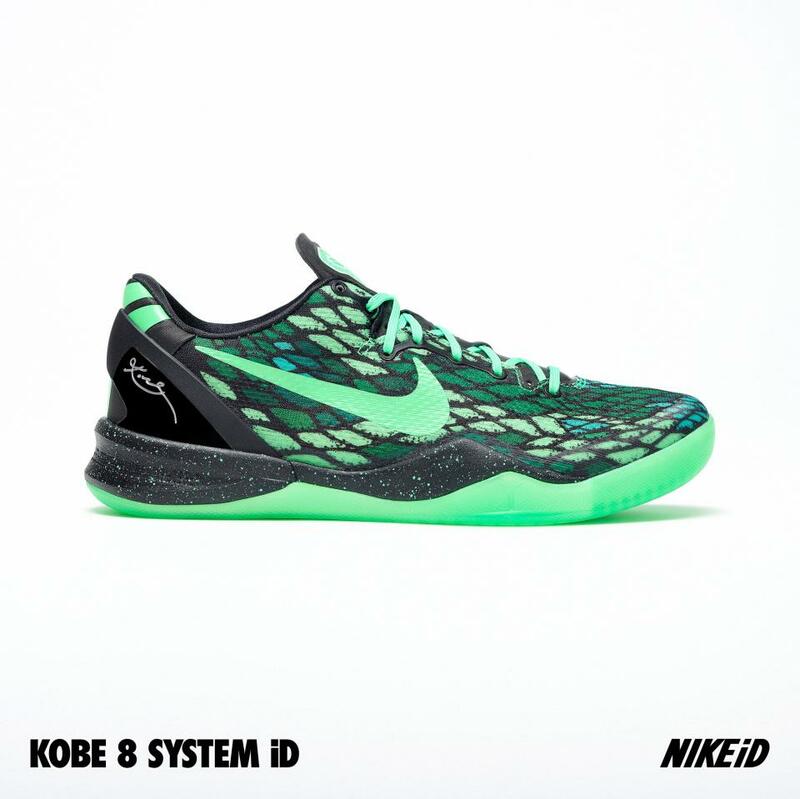 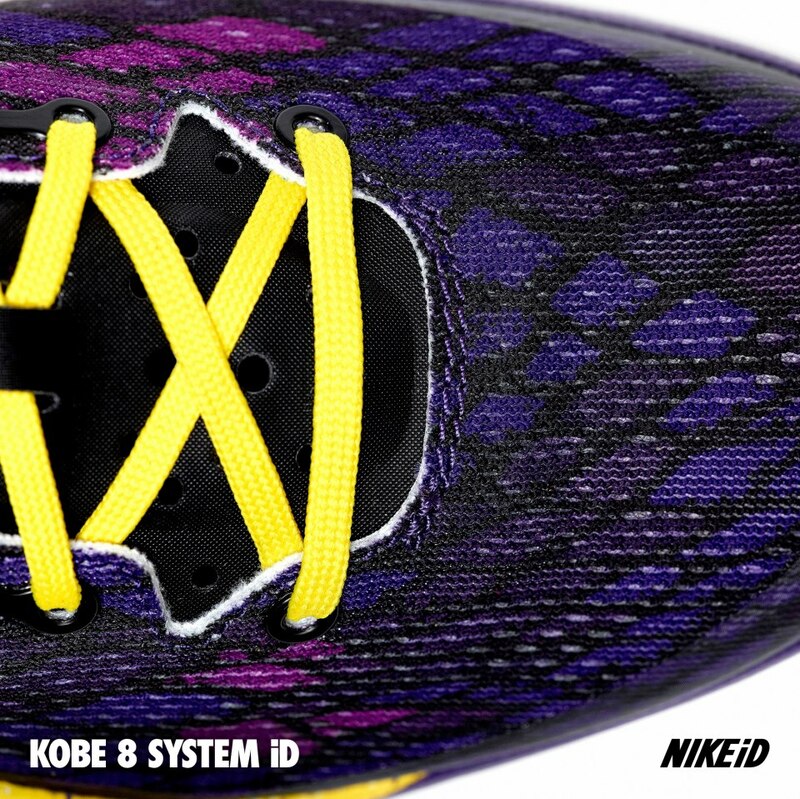 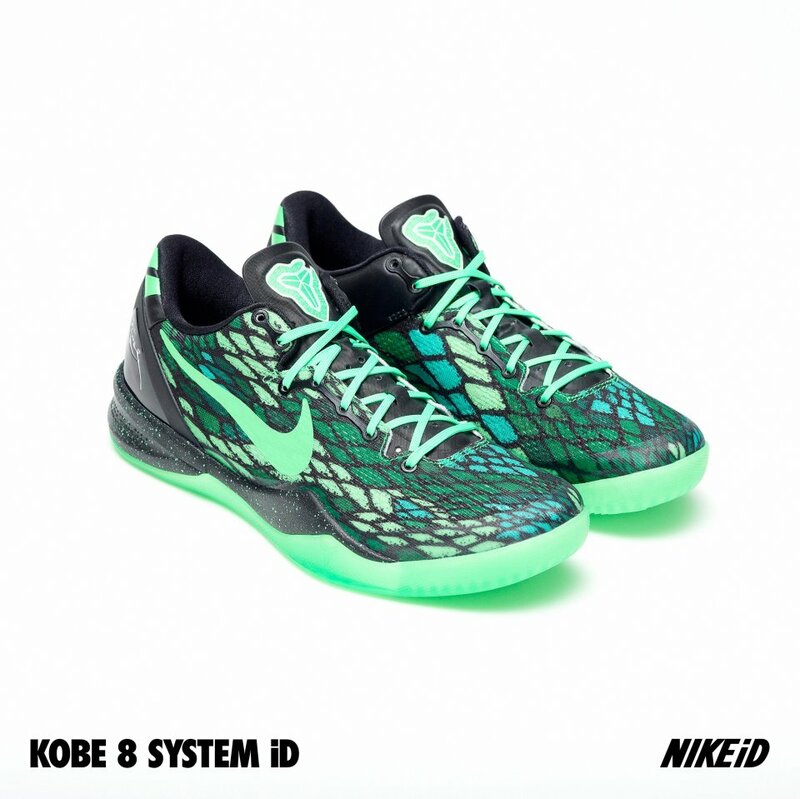 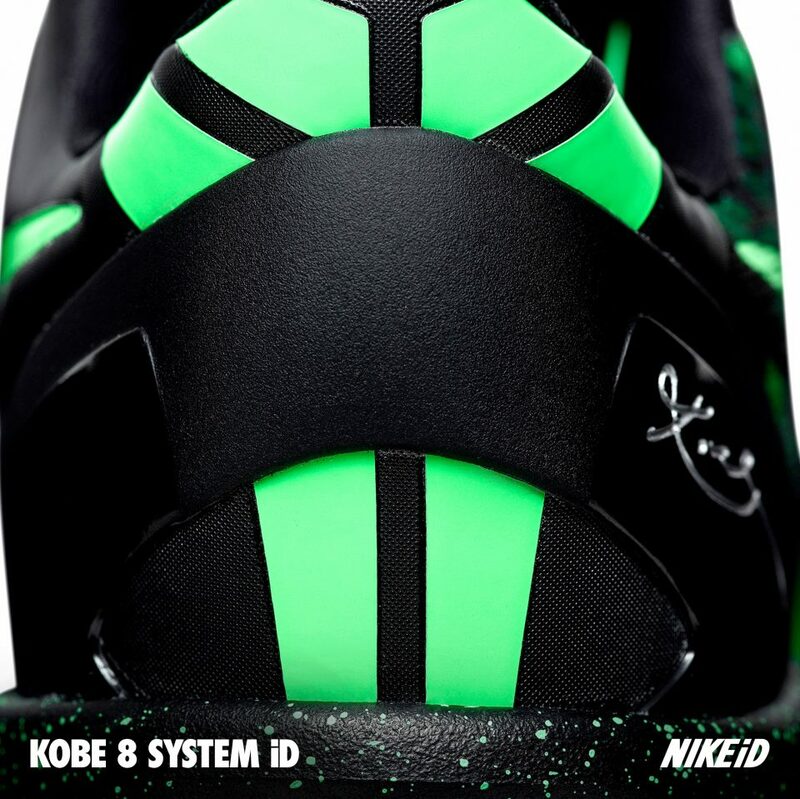 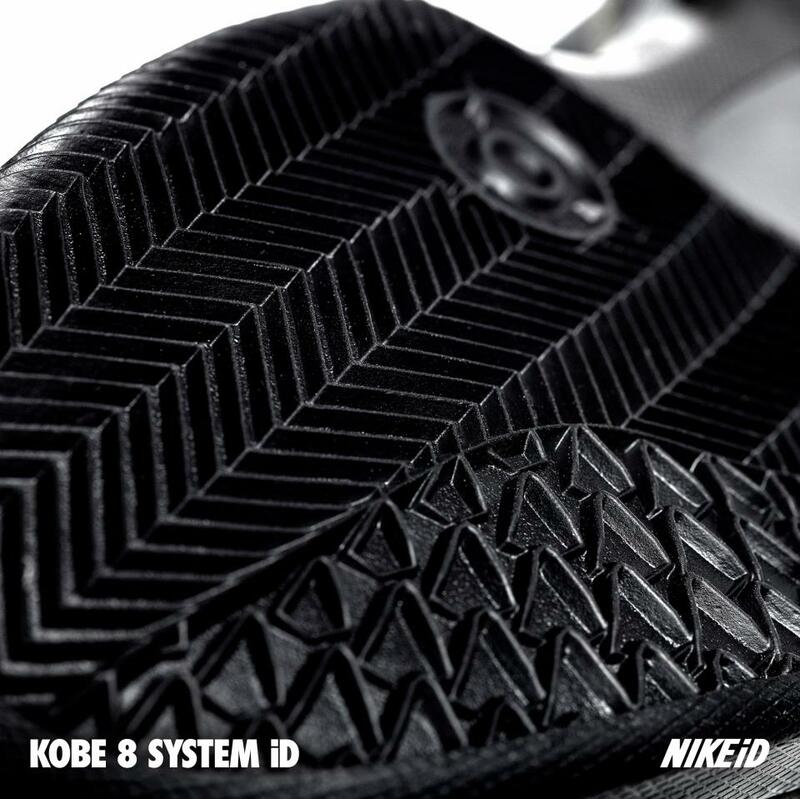 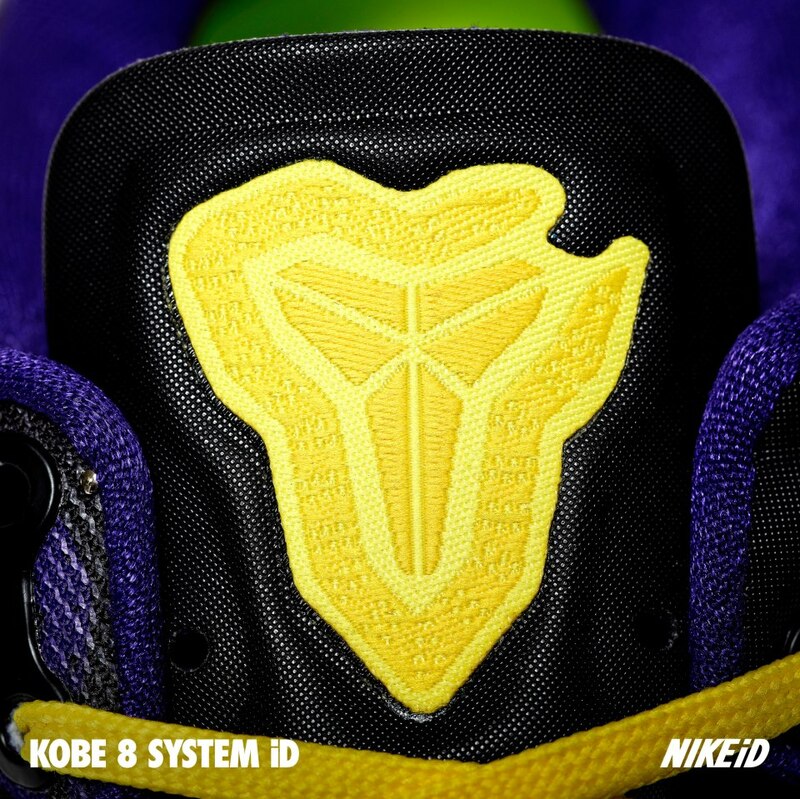 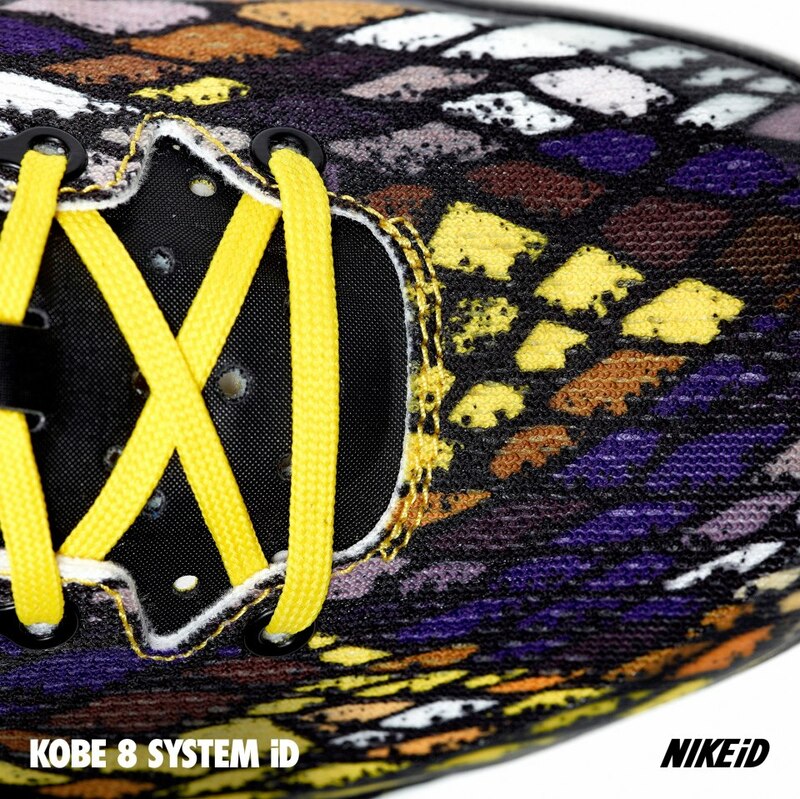 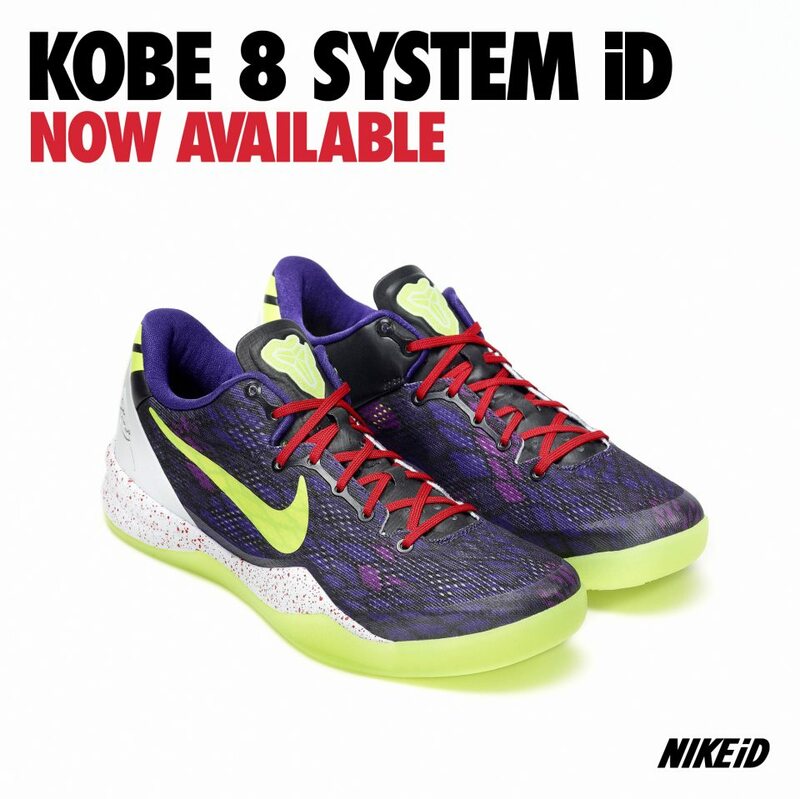 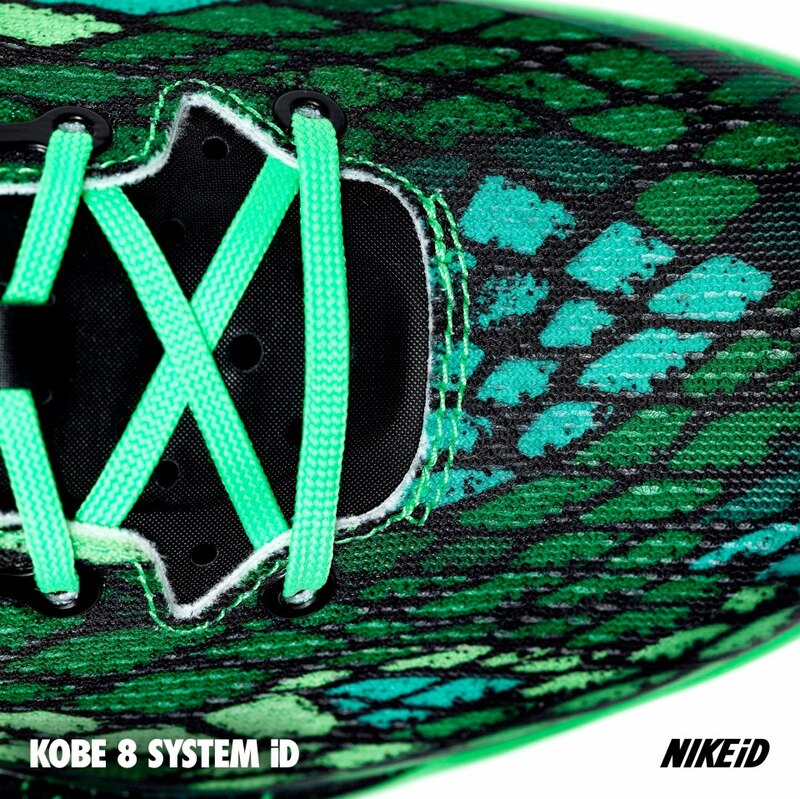 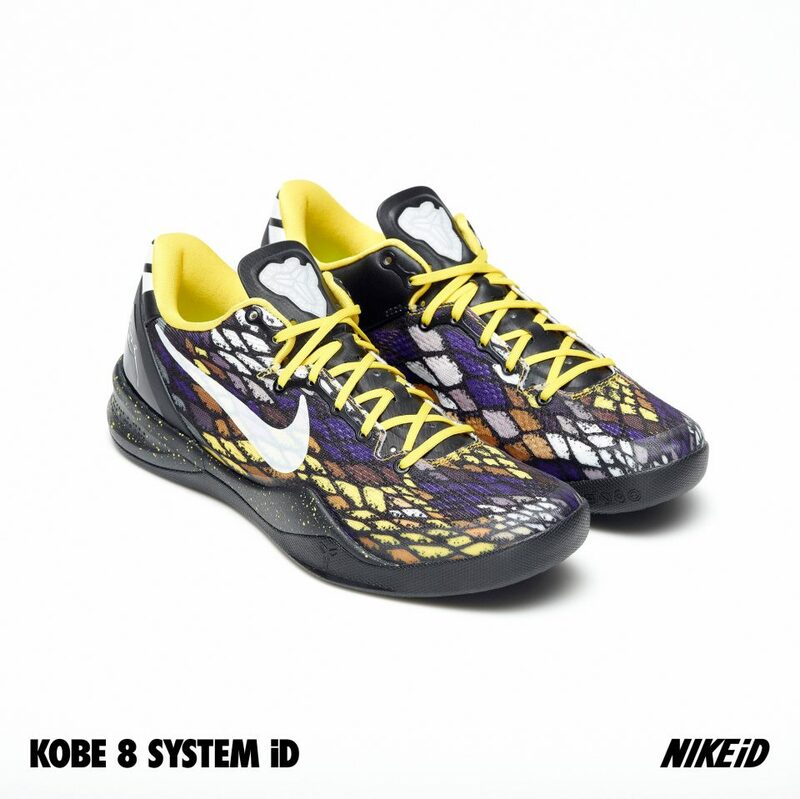 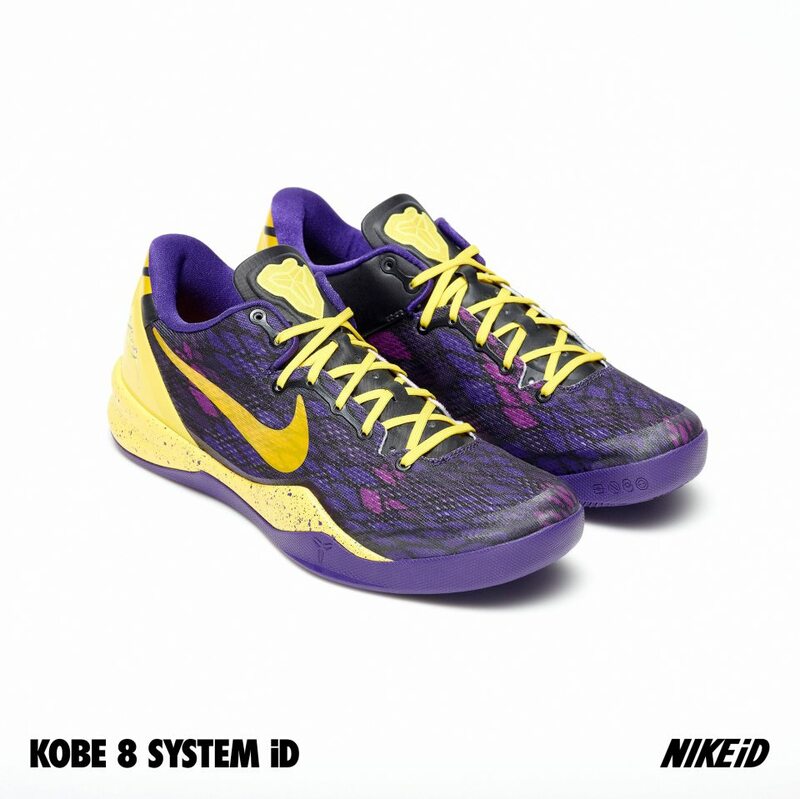 The KOBE 8 SYSTEM iD is now available for customization on NIKEiD.